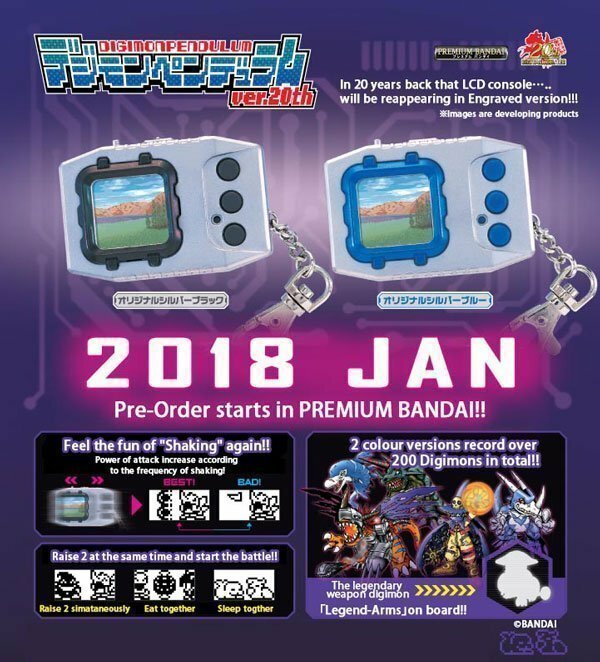 Bandai have just announced there will be two new digivices set to release in 2018. We will be accepting preorders from 9 January 2018 until allocation exhausts. For those who are interested in picking up the BROWN/GRAY version, you can place your order here. These will be sourced for you from Japan directly, it will take approx 3 weeks to arrive. Price may change depending on whats available in the market. For those who wish to purchase the new colours – YELLOW, WHITE and BLACK. Our allocation have sold-out on preorder so we can only source them from Japan directly once the item has been released. Please get in touch with us here to express your interest. New stock will arrive in early January. For those who have already purchased on preorder, these will come most likely in early January as they are scheduled for shipment at the end of November, but due to Xmas closures in December the shipment may/may not be delayed.